Install beautiful copper gutters on your home! 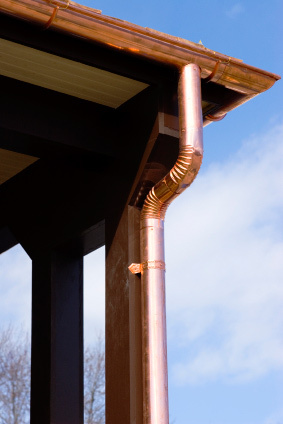 We get many inquiries about installing copper gutters on homes in the area. Copper gutters give a very distinct style as they age and develop their unique patina. Initially copper gutters cost more than aluminum gutters but many homeowners feel they are worth the initial investment. Copper gutters are available in both half round and k-styles. Most of our customers select the more decorative looking half round style and install with a more decorative exterior hanger.